The study of sleep is one that has been studied for many years. It is an interesting part of the study of the human mind, and is still being investigated. Indeed, there are have many theories proposed by many researchers, but generally speaking there is a great deal more to explore before one can be certain of anything. Some of the things that have been studied include sleep patterns and sleep disorders. In each of these studies there have been symptoms revealed to which the causes are being researched. Much of the research has been fruitful, and it is on the basis of this that explanations have been provided. 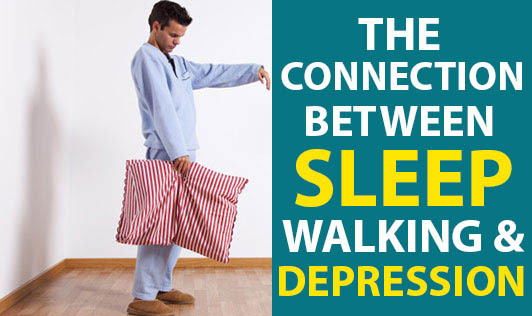 One of the symptoms that has been uncovered in studying sleep disturbances is sleepwalking. Research in this area too still continues. Sleep walking has been largely associated with children. Though there are many adults and adolescents that report sleepwalking, children are believed to be much more likely to experience sleepwalking. It is believed that children tend to spend a lot more time in non-REM sleep, and this is why they experience more sleep walking bouts that others. Adults tend spend more time in REM sleep, and indeed spend more and more time with this sleep as they grow older. When one sleepwalks, it is natural that real sleep cannot be completed. This is because energy is being used to help a person move about from place to place even if the eyes are shut. With adults, it is said that if they do not have a proper sleep their work during the day is affected. This is simple to understand, and if they happen to be sleepwalkers then there is every chance that they would suffer even more. Common symptoms of sleep walking and the simultaneous deprivation of sleep in adults results in agitation, being edgy, feeling drowsy, depressed, etc. In adults is especially an issue rather than it being an issue with children. Though children tend to suffer more with sleepwalking, adults tend to be more depressed and suffer the other symptoms above. However, this does not mean that children do not get depressed. Children certainly do get depressed as well. They may be depressed to the extent that they may not be able to perform at school or even take part in activities due to the possibility of sluggishness associated. Children can also be as severely affected with depression as a result of sleepwalking just as much as adults can. However, due to the fact that adults are usually job-holders and have other responsibilities on their shoulders the depression tends to be more apparent with them. What makes children's depression severer than adults is that it is not the result of added stress that adults are likely to face because of the family roles and the like. This kind of situation needs to be focused on carefully, and parents in particular should recognize quickly if their child is having a severe problem. This is because too much sleepwalking can deprive the child of alertness that it should have. This is because the child also has to attend school daily and may even be at risk when it comes to crossing roads or doing any work that requires one to be alert.